We Are So Proud of Maddie!! Before we tell you the very cool thing Maddie did, we want to make sure you know what she has done already! 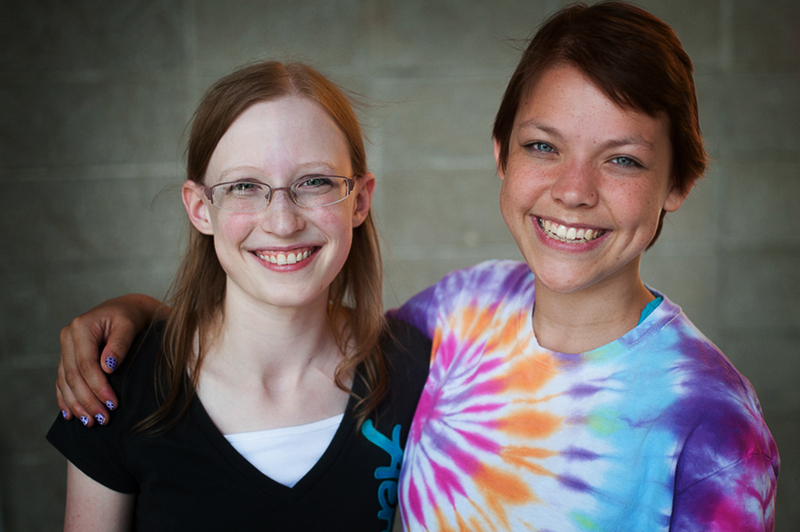 We met Maddie when she was 14 years old and battling Ewing’s sarcoma. Team Summer kid Kayla gave her (and all her friends!) 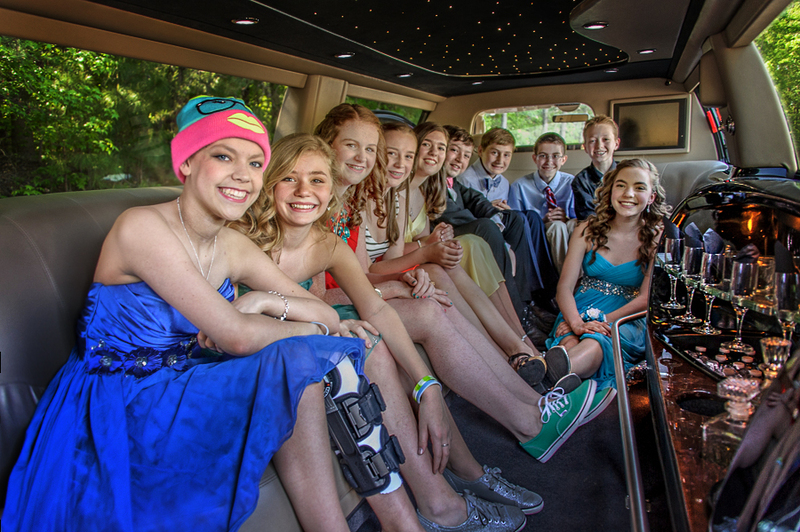 a limo ride to her eighth grade dance! And ever since then, Maddie has been giving back! 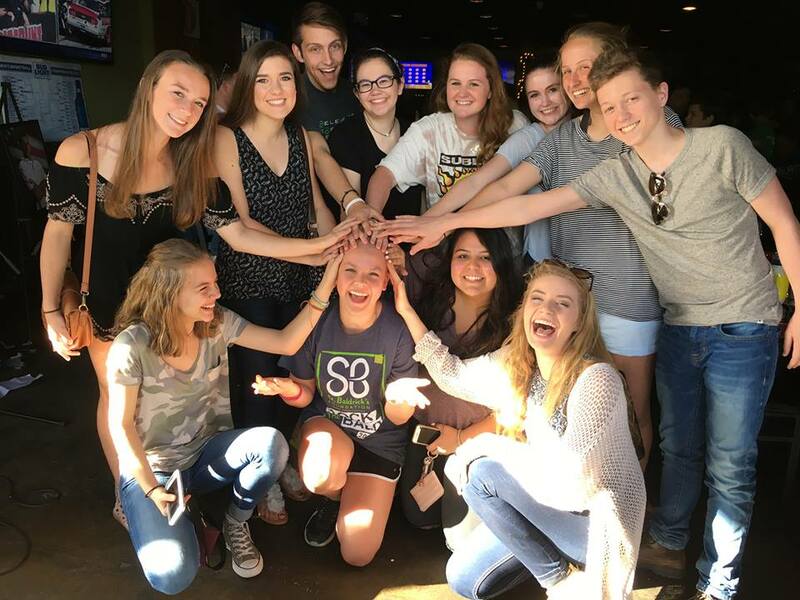 First, she gave 18-year-old Sarah, who was battling the same disease, a fun trip to Blue Ridge, GA! It was a chance for Sarah to get away from all the medical stuff and spend a few precious days with her family. 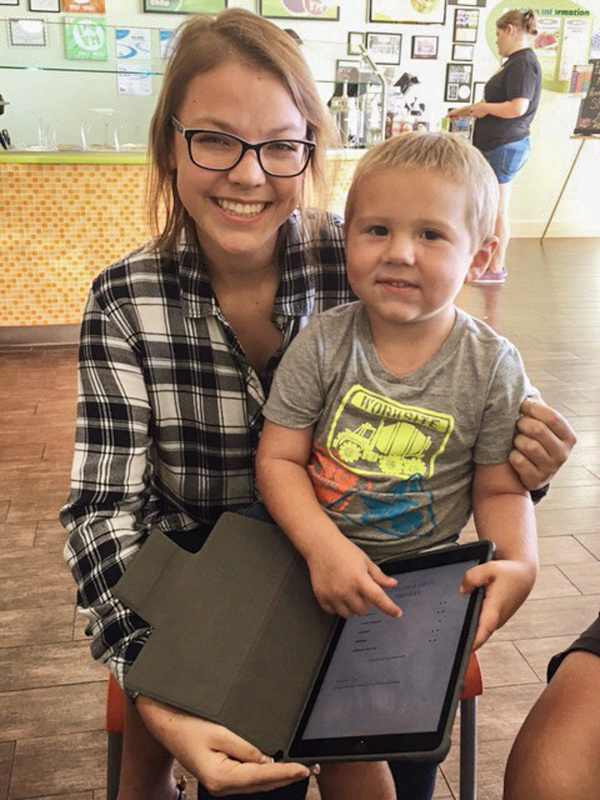 Then Maddie gave an iPad to three-year-old Bristol, who was battling lymphoblastic leukemia. It was the perfect gift to calm the rambunctious toddler while he endured his difficult treatments! And Maddie gave five-year-old Matthew, who has a brain tumor, a special stroller so he could be outdoors during the day. 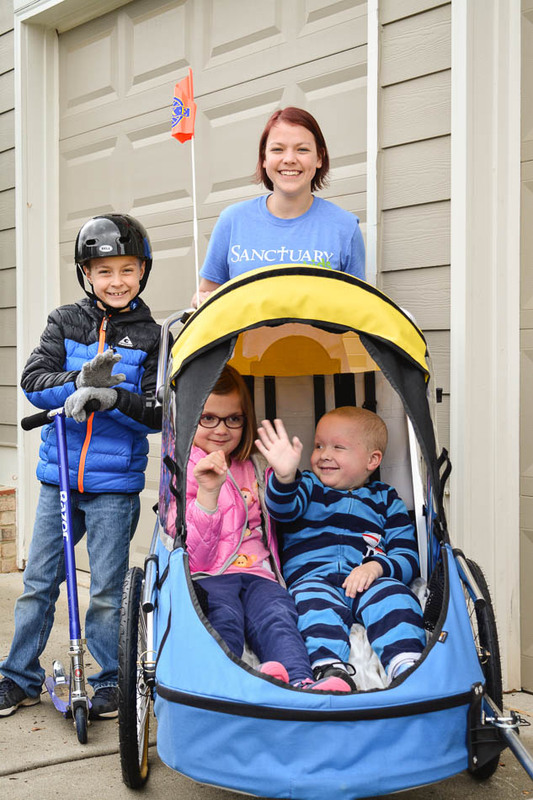 His chemo medicine made his skin very sensitive to the sun, and the stroller has given Matthew (in the black and blue stripes) a chance to play outside with his siblings! 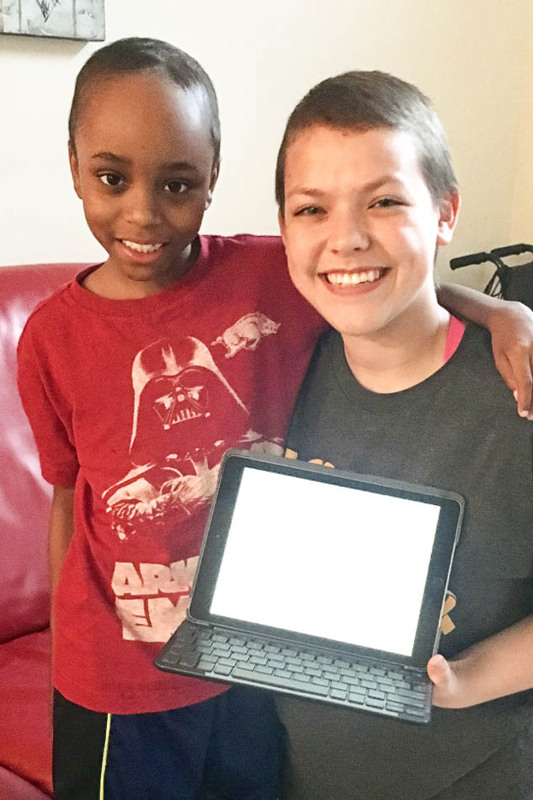 Then just last month, Maddie gave 10-year old Gideon an iPad and keyboard. Gideon is on his third battle with osteosarcoma, and he was thrilled to have a way to play games and watch movies during his chemotherapy treatments! And now, we’re up to the part where we want to tell you what Maddie has done now! 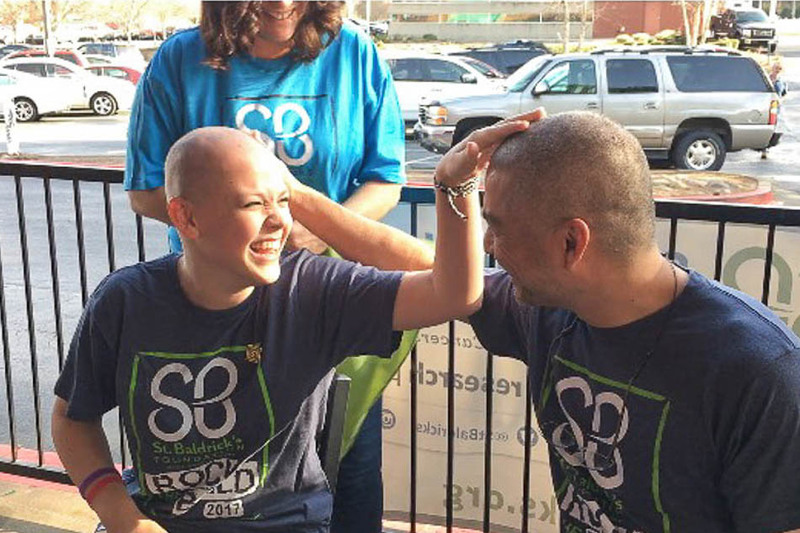 Even though she finished her cancer treatments three years ago…and her hair had long since grown back…the now 17-year-old chose to shave her head to raise money for childhood cancer research!! That’s Maddie above getting the deed done. And that’s her dad beside her! 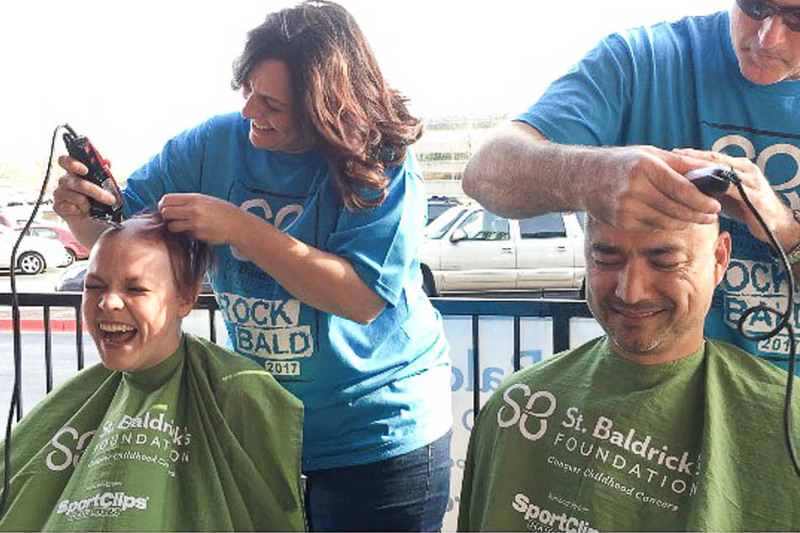 Through the St. Baldrick’s Foundation, Maddie raised more than $6200, exceeding her goal of $5000! Way to go Maddie!!! 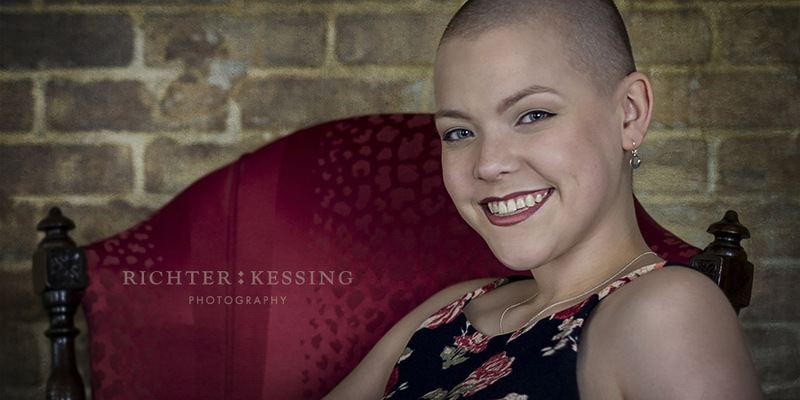 You are an amazing young woman, and we admire your strength and courage! 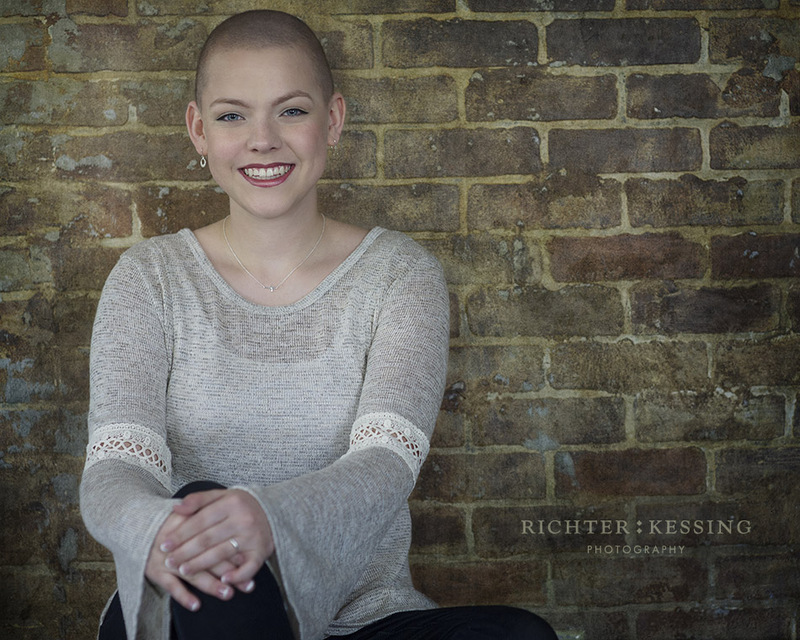 And here is Maddie photographed after the big shave…stunning portraits by our very own Brenda Richterkessing of Richterkessing Photography, with makeup by Joahnna Barron! 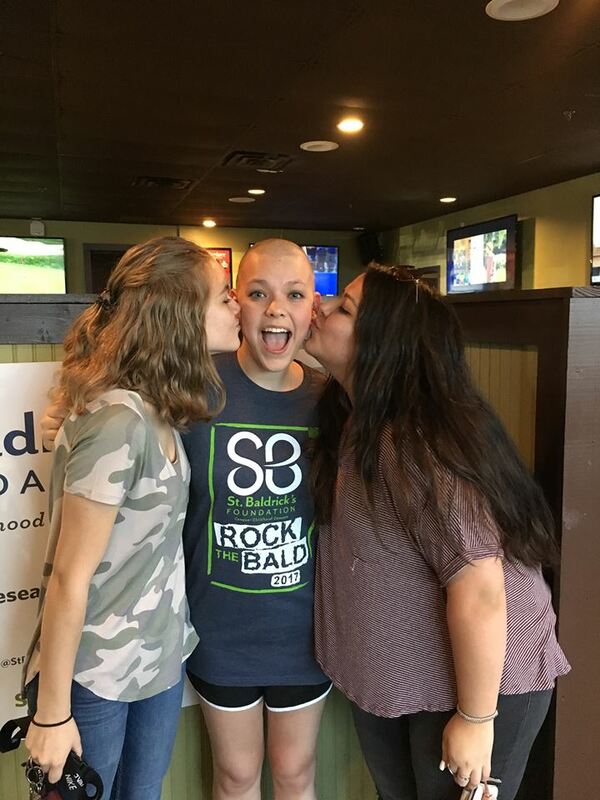 Thank you Maddie for proving yet again that bald is beautiful! Maddie Harris, you inspire me. I love you to bits! Maddie is an amazing young woman. I had the joy of teaching her in 6th grade. She allows Christ to shine thorough in all she does. I am so proud of her!! Maddie! What a wonderful spirit you have. Thanks so much for all you do for other. You are a true inspiration to me, and no doubt any person lucky enough to be around you. Shine on! 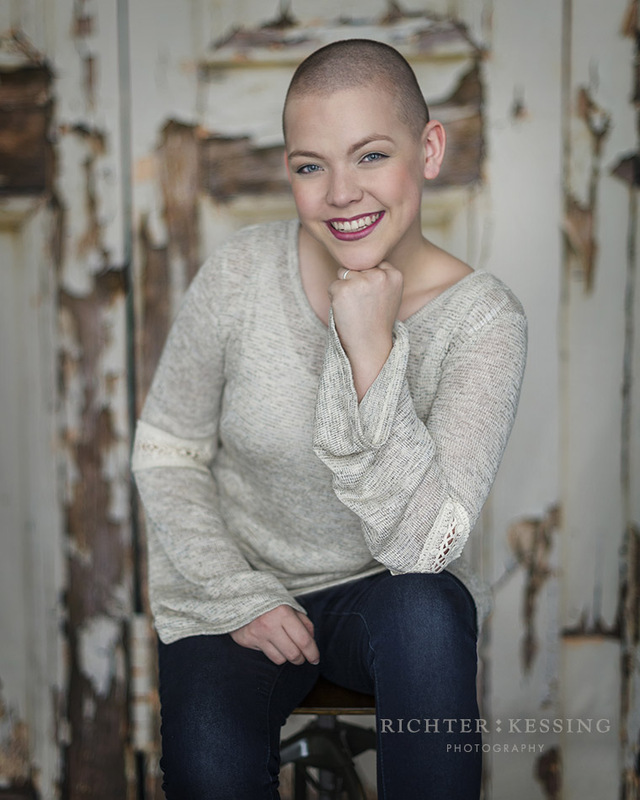 When most 17-year-old girls would be focused on fitting in, Maddie stepped out bravely and shaved her head! I am not sure I even have the guts to do that at 57! 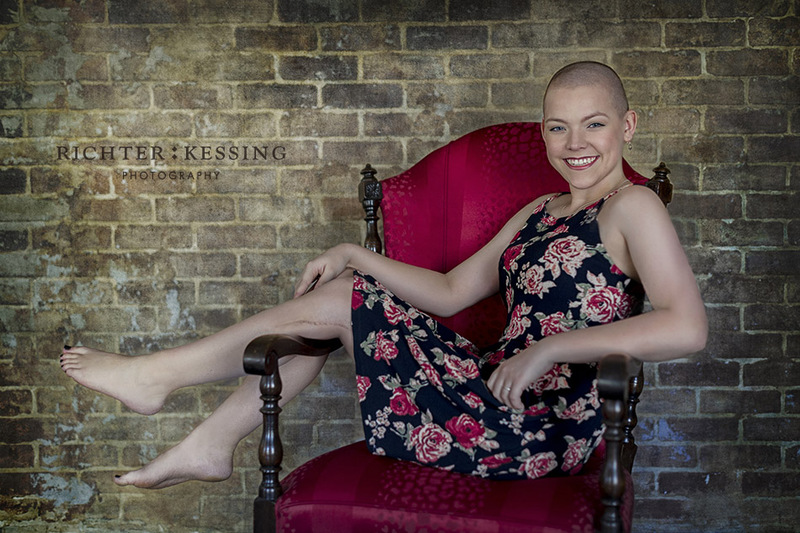 Bravo Maddie….I loved doing your photoshoot to celebrate what you did to raise money for St. Baldrick’s! You are my Shero!